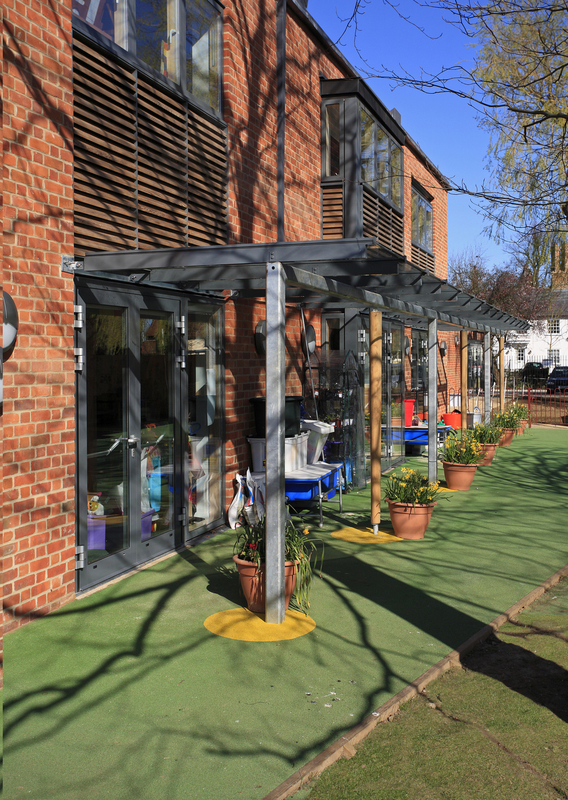 CGA executed a number of projects at Felsted School; this self-contained Pre Prep being the fifth. It replaces scattered accommodation from around the school bringing the ‘pre-prep’ department together in a new building in the centre of Felsted village. Nine classrooms, a library and toilets are grouped either side of a central circulation space in the two storey teaching block. Their arrangement is clearly expressed in the roof form. Each classroom has a pyramidal roof arranged in groups of three, breaking down the mass of the building and relating clearly to the essentially small scale built form of the village. The two sides are slightly offset in plan, creating a dynamic interior for the double height internal spaces. Zinc clad cowls on the top of the pyramid roofs introduce light and ventilation. The elevations express the offset plan with timber clad stair towers curved to the external edge. A library, admin and service areas are arranged off the ground floor circulation areas. 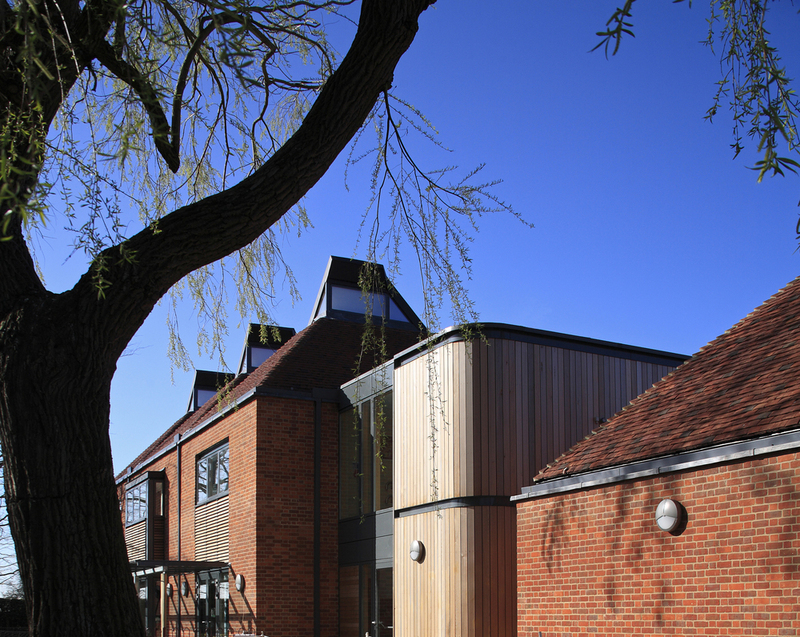 The Pre-prep assembly, dining and performance hall is placed at the front of the school with a similar arrangement of a roof top cowl providing top light and ventilation. Sliding glazed doors open out to play areas either side, with a servery and catering kitchen at one end. The building is served by air source heat pumps and a BMS, controlling ventilation and heating. Celebrated childrens’ author and artist Nick Butterworth created bespoke graphics for the animal-themed classroom identities.